It is Red lacquer Vase, it is red color and made by U Kyaw Sein -Shan Traditional . We produce our products making with thin bamboo strips and for the best quality. We intertwine with three bamboo threads for each line. We cover the lacquer on bamboo for three intertwine. So it's more durable even when it is dropping from somewhere high. If you want to more details, you can ask and leave massage by chat box. Our handmade technician created oval shape basket for keeping breads, fruits and other dry food with best quality and competitive price. 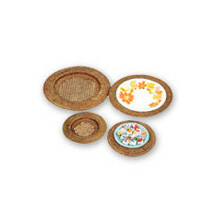 Used as service tray or basket in restaurants. 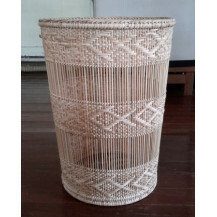 We removed mold in this basked and used white lacquer on natural bamboo basket to be sustainable basket. There has so many sizes from 5 inches to 11 inches, but we can customize as the buyer’s requirements. We made round shape at the edge of basket. 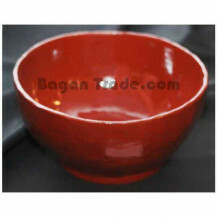 If buyer want to inquiry or want to buy, feel free to contact via message box or contact via bagantrade.com. 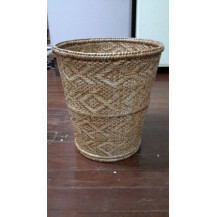 We used natural eco bamboo as raw material in this basket and it is made in Myanmar crafts with best quality. 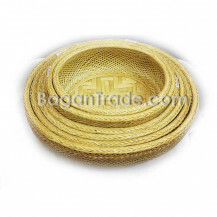 Mostly use as food basket, flower basket, fruit and vegetable basket and other. 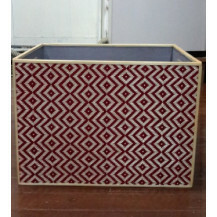 Mold was removed with traditional way in this basket and inlaid white lacquer to be use for long time. 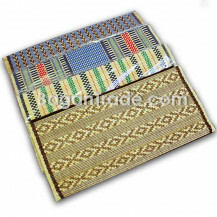 Buyers can ask and sent inquiry via clicking contact supplier button or contact via bagantrade.com. 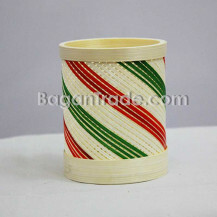 Handmade small bamboo basket with cylinder shape to put stationary, your accessories and other small things. Use as decorative basket or kitchenware basket to put small fruit like strawberry, berry fruits and other nuts. 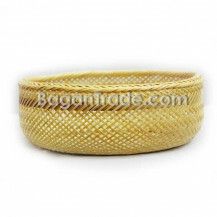 Both the edge of basket coiled with plain bamboo. 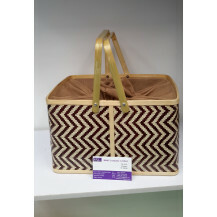 So it is useful basket not only for office decoration but also for kitchenware. We can customize color and size as buyer’s requirements. 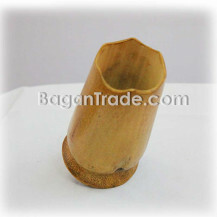 Feel free to contact via clicking on contact supplier button or you directly contact via bagantrade.com. Kitchen ware accessories not only for home but also for hotel. To use as under plate so easy can used. We can customize size and Design as buyer’s requirements. Customize photo frame for you remembrance photos. It is made by natural bamboo and use back wood sheet. It can be stand itself because of the stand behind the back. Can customize design and color. Removed mold with traditional way. 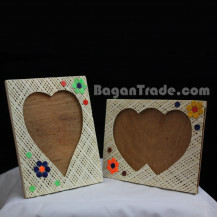 It can use as handmade gift for your beloved one or your friends. Contact by clicking on contact supplier, if you want to buy. 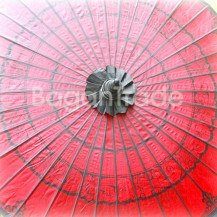 Myanmar Traditional Pathein Umbrella which is produced since over one century of service period and still famous hand made products. The whole product is made by hand and the raw materials of bamboo and wood are local produced. The colorful handmade umbrellas made in Pathein are famous in Myanmar. The umbrellas are hand painted and are very cheap to buy. Pathein umbrellas used to be very grand affairs. If you want to order 4&#039;, 6&#039; and 8&#039; are at least 10 pieces and small size umbrellas are at least 50 pieces. If you want to know more details, you can ask by chat box and mails. The handmade products are very beautiful and attractive. 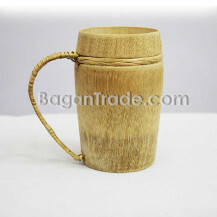 In this product, that is the bamboo cup in Myanmar. 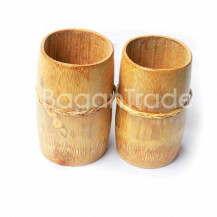 The bamboo cup is created with hand and the handle is made with cane. 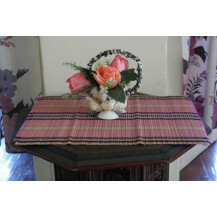 It is using in your living room, dining room, home decoration and you can give as a gift or souvenir. That is the simple design. You can drink green tea or cold or water or coffee or tea. If you want to know more detail, you can leave message by chat box or e-mail.